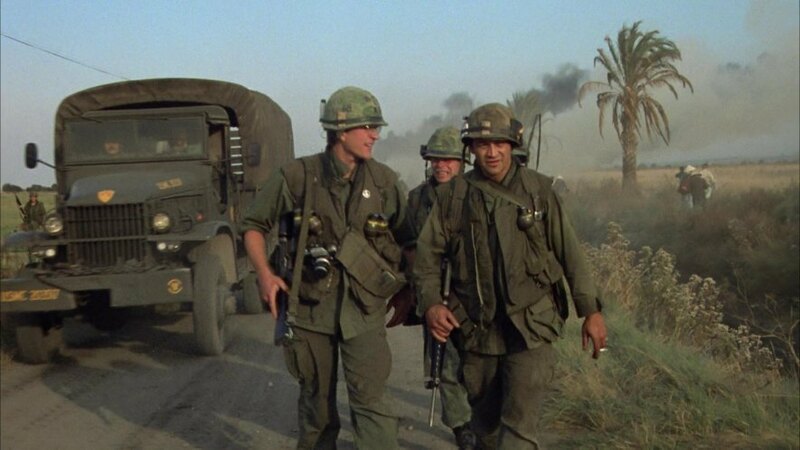 IMCDb.org: 1943 GMC CCKW 353 Cargo [G-508] in "Full Metal Jacket, 1987"
Various examples of this truck appear in different scenes, in this scene 5 of these pass by in a convoy. 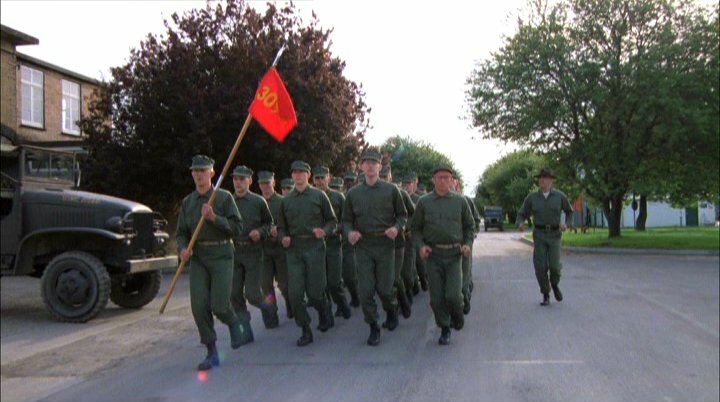 One appears in the background of the one of the Parris Island boot camp scenes (filmed in England, you can see the British road markings). Not too old for Vietnam war? I think so, but Second World War vintage hardware would be easier to find in the UK.